11:45 a.m. - 5 p.m. Specific details on meeting location will be provided to registrants via email. 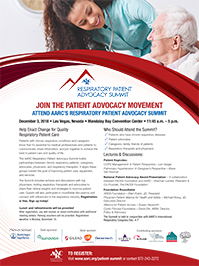 Valet parking vouchers will be available at the Patient Summit registration desk. Valet parking is on a space available basis. To register a guest, select the "Register Guest" button on the registration confirmation page, and follow the steps to complete the form. Complete as many guest registration forms as needed.